Five-judge constitution bench, led by Chief Justice Dipak Misra, had reserved its verdict in August. 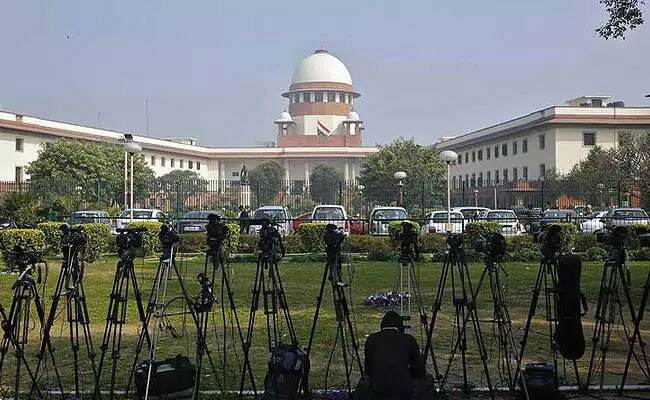 The Supreme Court is reading out a crucial verdict on a 150-year-old adultery law that considers punishment only to a man and not a married woman for an affair by treating her as a victim and not as an abettor of the offence. “Adultery law arbitrary,” said the Chief Justice of India, Dipak Misra. The centre, in its defence, claimed that the law should remain valid as it protects the sanctity of marriage. The petition filed against the law was done so on the premise that the law does not treat men and women equally. A five-judge constitution bench, headed by Chief Justice Dipak Misra, had reserved its verdict in August. The hearing in the case by the bench, which also comprised justices R F Nariman, A M Khanwilkar, D Y Chandrachud and Indu Malhotra, went on for six days and had begun on August 1. Adultery is a criminal offence in 17 countries including 20 States in United States of America including New York, Massachussets etc. Adultery is a crime “against marriage and society” and thus the “act of adultery is a criminal offence as it affects the matrimonial right of a spouse. The act of adultery causes mental injury,” the centre said. Earlier, the Supreme Court upheld the law against adultery thrice. Last year, the top court said the laws on adultery treat a woman as her husband’s subordinate and time has come for society to realise that a woman is as equal to a man in every respect. “Scrapping Section 497 of the Indian Penal Code and the Section 198(2) Criminal will prove to be detrimental to the intrinsic Indian ethos, which gives paramount importance to the institution and sanctity of marriage,” the Centre said. “The law was enacted to protect and safeguard the sanctity of marriage, keeping in mind the unique structure and culture of the Indian society. The decriminalisation of adultery will result in weakening the sanctity of a marital bond and will result in laxity in the marital bond,” the Centre said in its affidavit. The law says “no person other than the husband of the woman shall be deemed to be aggrieved” by adultery. In his absence, anyone else who “had the care of the woman when such offence was committed” may file a complaint on behalf of the husband. The top court had questioned the government how the law preserved the “sanctity” when the extra-marital affair becomes non-punishable if the woman’s husband stands by her. “Dichotomy is manifest (in Section 497)” as “husband can only have control over his emotion and cannot ask wife to do this or that”, the constitution bench had told the government.